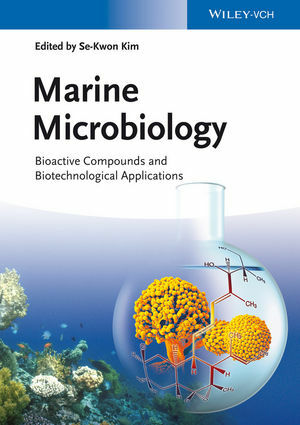 Deliberately breaking with the classical biology-centered description of marine organisms and their products, this reference emphasizes microbial technology over basic biology, setting it apart from its predecessors. As such, it systematically covers the technology behind high-value compounds for use as pharmaceuticals, nutraceuticals or cosmetics, from prospecting to production issues. Following a definition of the field, the book goes on to address all industrially important aspects of marine microbial biotechnology. The first main part contains a description of the major production organisms, from archaebacteria to cyanobacteria to algae and symbionts, including their genetic engineering. The remaining four parts look at commercially important compounds produced by these microorganisms together with their applications. Throughout, the emphasis is on technological considerations, and the future potential of these organisms or compound classes is discussed. A valuable and forward-looking resource for innovative biotechnologists in industry as well as in academia. Se-Kwon Kim is Professor of Marine Biochemistry at Pukyong National University in Busan, South Korea. A graduate of PKNU, he conducted his postdoctoral studies at the University of Illinois (USA), and was a visiting scientist at the Memorial University of Newfoundland (Canada). His major research interests are the investigation and development of bioactive substances derived from marine organisms and their application as cosmeceuticals and nutraceuticals. Professor Kim is the current editor-in-chief of the Korean Journal of Marine Bioscience and Biotechnology. He has authored over 450 research papers, holds 72 patents, and has written or edited more than 30 books.